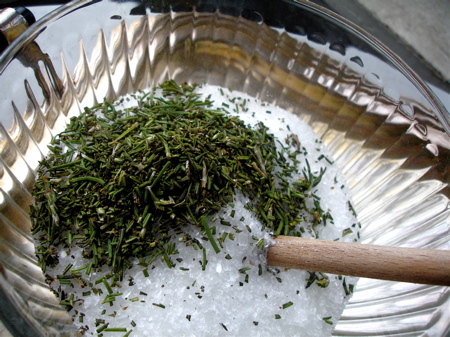 Today I decided to get the ingredients together to make a rosemary-mint sugar and salt scrub. My friend Alice sent me a whole BUNCH of fresh rosemary to play with, and so far I’ve baked some into savory muffins and batter bread, scented my favorite garlic roasted, baby bliss potatoes and chopped up a little to add to this beautiful scrub! and 20 drops pure peppermint essential oil. 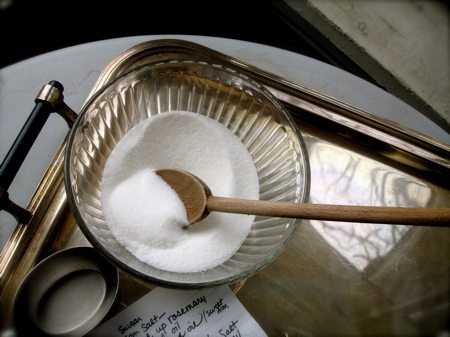 Mix all ingredients with a wooden spoon until thoroughly combined. Scoop into glass containers, seal with tight fitting lids, and label. This beautiful scrub can be used as an all-over body smoother while bathing or as an exfoliating hand treatment. 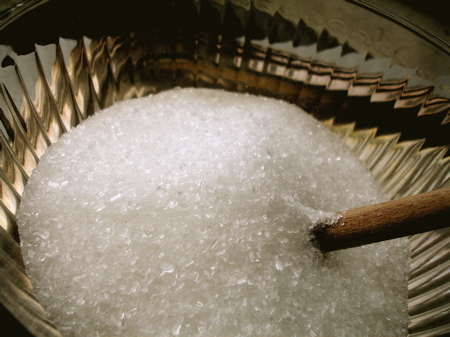 Simply scoop out a generous amount while bathing or showering and apply to your body after you’ve finished washing. Rub all over, excluding face and genital area. Rinse thoroughly, and pat dry. 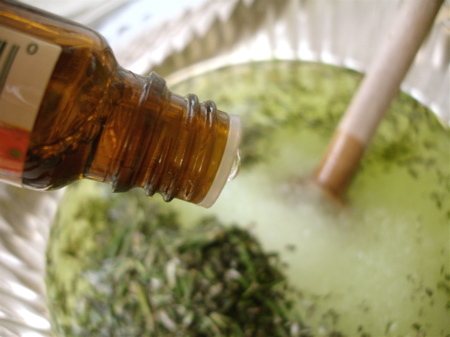 This will leave your skin silky smooth and smelling wonderful! For a quick, moisturizing and aromatherapeutic “one minute manicure” just keep a jar of this lovely scrub next to your bathroom or kitchen sink and scoop out a little when your hands are feeling parched. Rub all over your hands and wrists for 60 seconds, rinse with warm water, and pat dry. I don’t know if anyone will see this question but….I have a ton of rosemary and fresh mint. 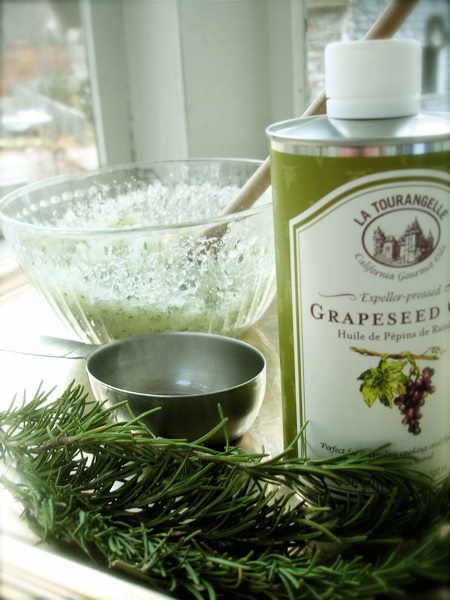 Can I infuse the grape seed oil with the herbs and skip the essential oil? You can “speed up” the infusing process a bit too by pouring the oil and herbs into a large pan and heating through… not too hot. Allow the oil to cool and then pour back into the bottle through a funnel. Looking forward to trying this. How long can I store scrubs containing fresh herbs? Should I put this in the fridge when not in use? Hi Liz! 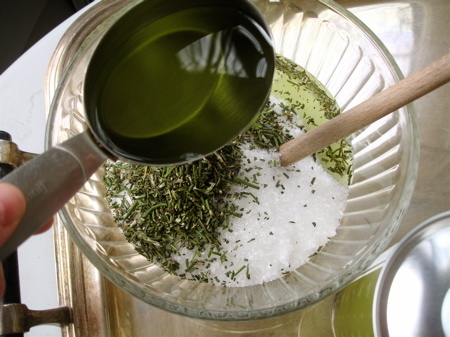 the sugar and salt will act as preservatives for the fresh herbs…if you’re planning on making up a bunch for yourself then keep the extras in the fridge. the scrub will keep for a few weeks without being refrigerated. 🙂 enjoy! 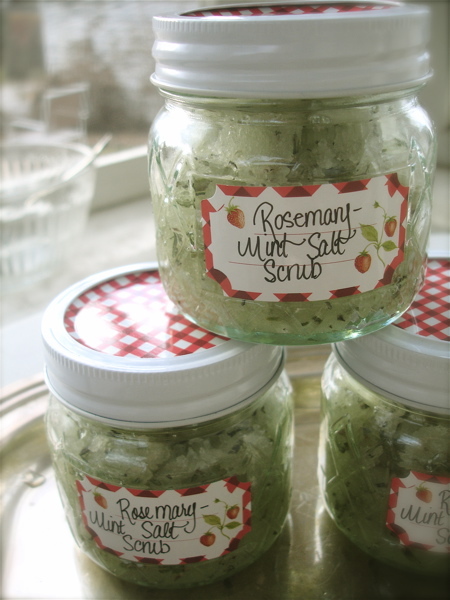 I LOVE LOVE LOVE anything rosemary mint! One of my fav combos! Do you think dried rosemary will work as well as fresh? Can I substitute olive oil for the grape seed oil? Where can I find these essential oils on line? Can I ask where you got those pretty lids for the jars? And how you made the labels? that looks absolutely wonderful…definitely something I would be interested in trying. 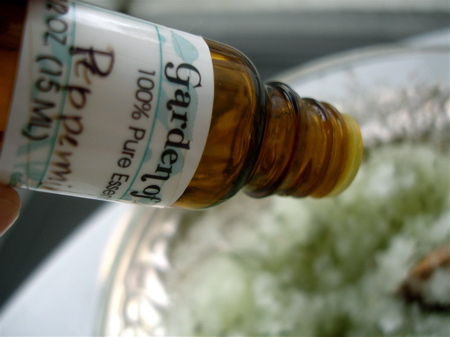 Where do you get the rosemary and peppermint essential oils from? This looks awesome Melissa! This is for sure going to be a gift making project for me! About how many jars did you fill with this recipe? Whatz the shelf lyf of this scrub?? Such a wonderful recipe and thanks to dear Liz above who asked the question I needed!! So impressed with Charles:) Thanks for the recipe. I’m going to put it use. And definitely will be checking on the Amazon books. Oh and Dollar General has the cutest jars for a couple dollars.